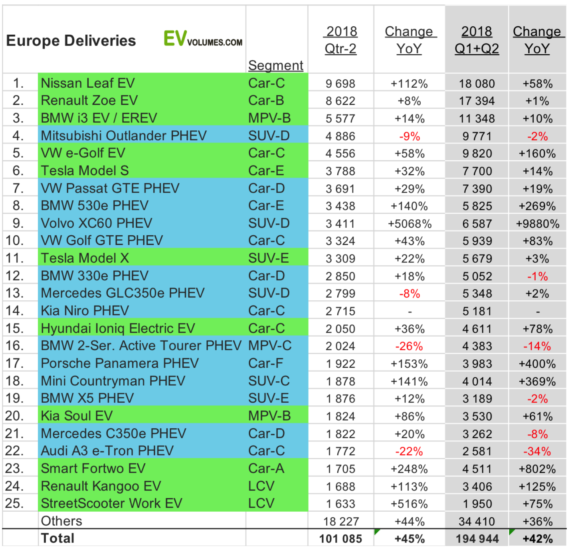 Our friends at top electric vehicle (EV) data collection and analysis firm EV Volumes have just published European plug-in vehicle sales results for the first half of 2018. The most notable stat is probably the one in the headline — 42% market growth year over year (YoY). 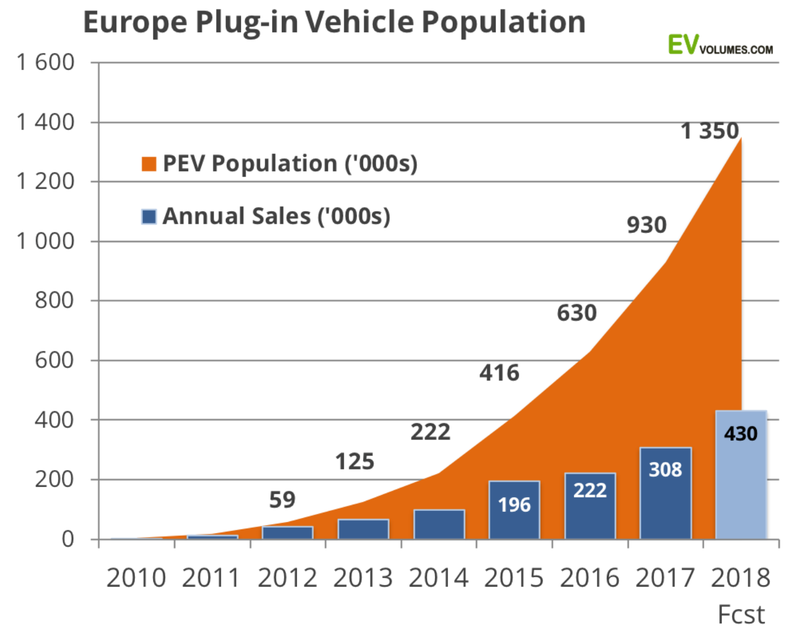 Additionally, in total, the number of plug-in vehicles on the street in Europe passed 1 million. 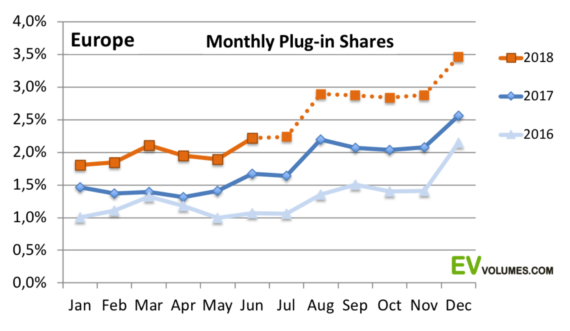 Total plug-in car sales in the first half of the year reached 195,000, which meant 2% share of the overall auto market. The market share is expected to reach 2.35% in 2018, on the back of 430,000 plug-in car sales. 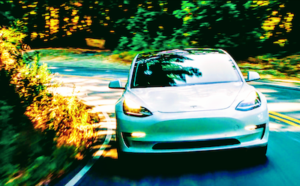 The market was almost perfectly split between fully electric cars (BEVs) and plug-in hybrids (PHEVs) in the first half of the year — 51% versus 49%, but that split varies a great deal from country to country. Every single country analyzed saw EV market growth. 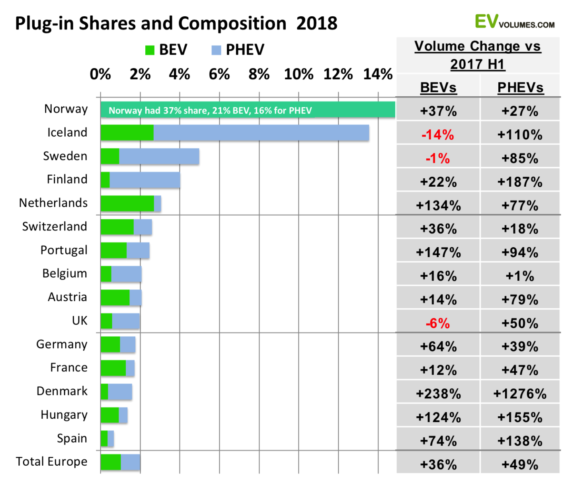 Germany led in terms of volume growth, while Norway remains the continent’s biggest EV market — though, much more populous Germany appears set to eclipse it. 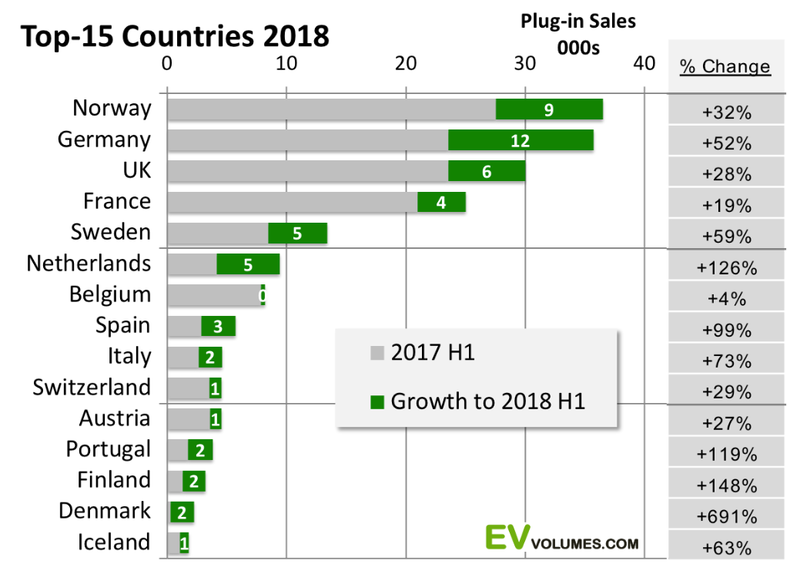 Germany saw 15% EV market growth. Norway saw 9% EV market growth. 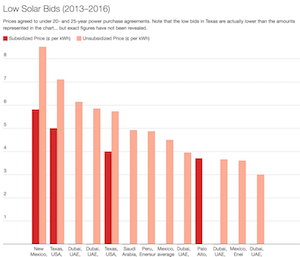 The UK saw 6% EV market growth, Sweden 5%, the Netherlands 5%, France 4%, and Spain 3%. 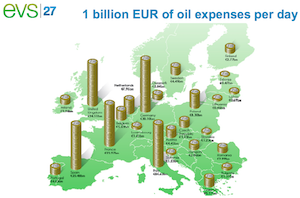 Overall, the European continent is seeing exponential EV market growth. The chart shows it better than words can. 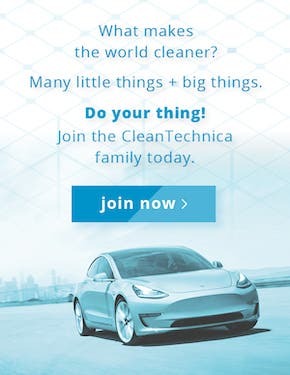 As far as the leading models, Europe loves small electric cars. The top three models were the Nissan LEAF (considered a “compact” car and small in the US but quite a good “family car” size in Europe), the Renault Zoe, and the BMW i3 (which has a far easier time appealing to Europeans living in tight cities than Americans living in highway-oriented California, Florida, and Texas). The one and only affordable plug-in SUV, the Mitsubishi Outlander PHEV, had its usual strong showing, before another small-ish car, the VW e-Golf, and the supremely popular marge luxury car from Tesla, the Model S, staked their places ahead of the crowd. Four plug-in hybrids from popular European brands completed the top 10 list. The full list of the top 25 is below in more colorful and stat-specific format. 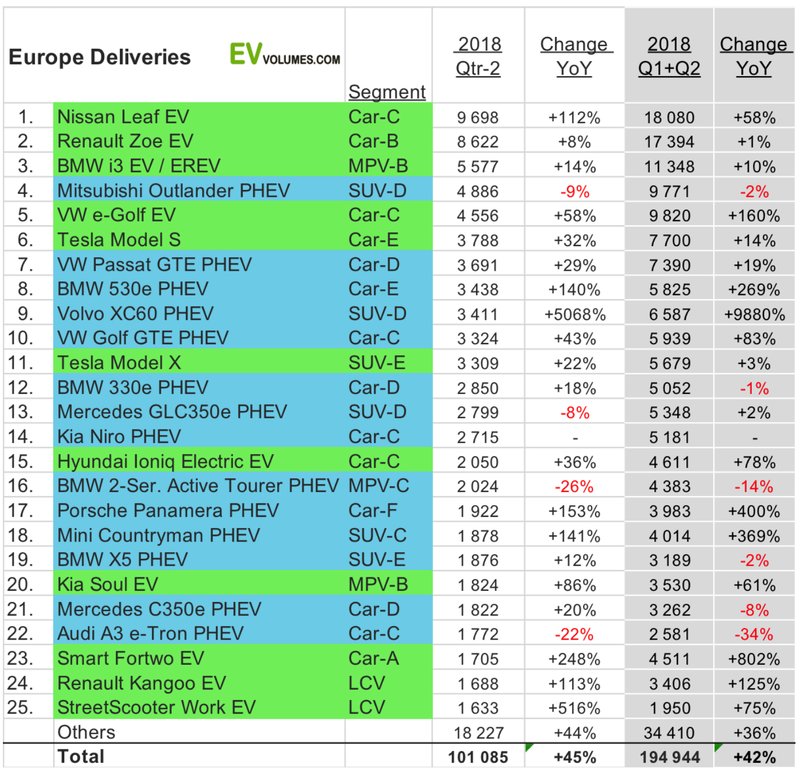 Before reading further, can you guess (or do you somehow know) the top brands in terms of EV sales on the European continent? Any predictions on how the brand ranking — of the model ranking — will change by the end of 2018? 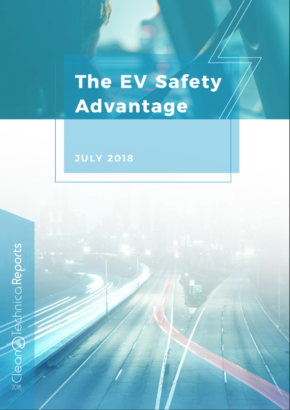 For more details, read the entire EV Volumes report.